Here at GWS, we’re always on the look-out for an interesting story – whether it’s a news event, an exciting new design release or a useful tip from an expert in social networking. • Twitter news has been a regular feature of our weekly round-ups – one of our favourite stories was a New York Times article on the psychology of Twitter. • We also found these tips useful – situations when you shouldn’t Tweet, and the danger of over-responding on Twitter. • Social media scientist Dan Zarrella has provided us with some great marketing advice – a highlight was his post on using novelty to create contagious marketing strategies. • We loved this Guardian article by 23 year old Tom Meltzer on the curse of growing up in the social networking generation. • The insights of Drew Hawkins have been a regular feature of our weekly round-ups - we loved this piece showing that PR doesn’t have to choose between traditional and digital. • One of our favourite resources for using social media channels was Adam Vincenzini’s YouTube Treasure Chest for Marketers. • We first blogged about Wikileaks back in August – while we’ve enjoyed the Guardian’s coverage of the saga, this alternative presentation of events from Rap News has been our highlight so far. 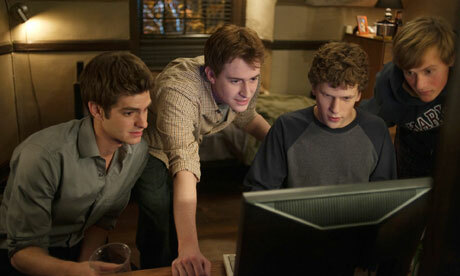 • The Social Network has been one of 2010’s most successful releases – we enjoyed this review by a Harvard Professor. We also liked what Zadie Smith had to say about the phenomenon that is Facebook. • Hidden faces of the UK coastline - possibly the coolest use of Google we’ve come across. • Being Bristollians, we’ve had a lot to say about Banksy – a highlight for us was this opening to The Simpsons directed by the elusive artist himself. • One of our 2010 design favourites was It’s Our Water – a site seeking to raise awareness about the ‘(ab)use’ of Lake Michigan. Click here for the blog. • Finally, we had a lot of fun with this map showing where people are tweeting from – interactive, up-to-date and very nice to look at! So that’s all for 2010 – watch this space for the first round-up of 2011! From all of us here at GWS, have a very happy new year!